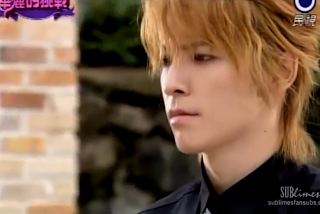 Sorry you'll be hearing a lot about my latest craze TwDrama Skip Beat. I so love Kyoko and Ren! Okay for the TwDrama version, i love Gong Xi and Lian! Did you think I'm still the Gong Xi that considers you as the center of my life? that innocent and naive me in the past has long disappeared! I will definitely make you regret it till the day you die.